0.38 Jerrald Ranta, Geometry Vision and Poetic Form, College English, 1978. 0.32 Laurence Perrine Elizabeth Hampsten, Lesbia and Love: Comment on "A Woman's Map of Lyric Poetry" by Elizabeth Hampsten, College English, 1974. 0.32 Ernest Gallo, Pain and Suffering, College English, 1978. 0.30 Philip K. Jason, Stanzas and Anti-Stanzas, College English, 1978. 0.30 Lynn Z. Bloom, Definition of Poetry, College Composition and Communication, 1974. 0.29 Martin Halpern, Keats's Grecian Urn and the Singular "Ye", College English, 1963. 0.28 T. J. Kallsen, Five Poems to See, College English, 1974. 0.28 Richard Eugene Smith, Ezra Pound and the Haiku, College English, 1965. 0.28 Robert M. Ryley, Response to Laurence Perrine, College English, 1975. 0.27 Winifred Lynskey, A Critic in Action: Mr Ransom, College English, 1944. 0.26 Janet Eisner, Undergraduate Maiden's Lament to John Keats, College English, 1966. 0.26 Bradford A. Booth, The Identity of Annabel Lee, College English, 1945. 0.25 John Ciardi, Poets and Prizes, College English, 1950. 0.25 Stephen Mooney, Shapiro, College English, 1968. 0.25 Wallace C. Brown, The English Professor's Dilemma, College English, 1944. 0.25 Laurence Perrine, Housman's Lovers, College English, 1975. 0.25 Jerrald Ranta, Palindromes Poems and Geometric Form, College English, 1974. 0.24 Lewis Turco, Memo from the Muses' Committee on Un-American Activities, College English, 1964. 0.24 Roberts W. French, Comment on "A Woman's Map of Lyric Poetry", College English, 1974. 0.24 C. V. Wicker, Cortez-Not Balboa, College English, 1956. 0.23 Lawrence W. Hyman, Belief and Disbelief in Lycidas, College English, 1972. 0.23 Laurence Perrine, "Peter Quince at the Clavier": A Protest, College English, 1966. 0.23 Richard Crowder, E A Robinson's Camelot, College English, 1947. 0.23 Marvin Fisher, Another Hack at "Trees", College English, 1957. 0.23 Robert Berkelman, Sonnet 73 Again, College English, 1962. 0.22 F. Y. St. Clair, The Rhythm of Milton's Nativity Ode, College English, 1944. 0.22 Samuel H. Woods_ Jr., "Philomela": John Crowe Ransom's Ars Poetica, College English, 1966. 0.22 Steven G. Kellman, Monologue from Body to Soul, College English, 1976. 0.22 Joseph P. Clancy, Cywyddau, College English, 1968. 0.22 Philip Appleman, Trees?, College English, 1969. 0.22 Samuel Hynes, Lines Written While Preparing a Glossary for under the Greenwood Tree, College English, 1964. 0.22 Charles M. Hudson_ Jr.Edward H. Weatherly, The Survey Course at the University of Missouri, College English, 1947. 0.22 Samuel Jay Keyser, Wallace Stevens: Form and Meaning in Four Poems, College English, 1976. 0.21 H. Sopher, Donne Outdone, College English, 1964. 0.21 Allen Austin, Keats's Grecian Urn and the Truth of Eternity, College English, 1964. 0.21 David Daiches, 1954: The Poetry of Dylan Thomas, College English, 1960. 0.21 Jon Bracker, Walt Whitman, College English, 1963. 0.21 Eugene Nassar, Wallace Stevens: "Peter Quince at the Clavier", College English, 1965. 0.21 Lodwick Hartley, Ambiguity about Mr Pope, College English, 1939. 0.21 Ronald Wallace, Babble and Doodle: Introducing Students to Poetry, College English, 1981. 0.21 Jonathan Holden, "Affected Naturalness" and the Poetry of Sensibility, College English, 1979. 0.20 Allen Austin, T S Eliot's Theory of Dissociation, College English, 1962. 0.20 Ralph Marcellino, Emily Dickinson, College English, 1945. 0.20 William van O'Connor, The Influence of the Metaphysicals on Modern Poetry, College English, 1948. 0.20 Charles Angoff, Two Poems, College English, 1962. 0.20 George Arms, "Childe Roland" and "Sir Galahad", College English, 1945. 0.20 Karl Shapiro, Is Poetry an American Art?, College English, 1964. 0.20 Lewis H. Miller_ Jr., Two Poems of Winter, College English, 1967. 0.20 David Daiches, Some Aspects of T S Eliot, College English, 1947. 0.20 David Ray, Pan and Buffalo Bill: Reply, College English, 1962. 0.20 Robert Swanson, Grandfather's Cigar Smoke, College English, 1982. 0.20 Lionel Kearns, Identity, College English, 1988. 0.20 Oscar Cargill, Poetry since the Deluge, College English, 1954. 0.20 Helmut E. Gerber, A Syllabus for Creative Writing: Poetry, College English, 1951. 0.20 Joseph N. Riddel, Stevens' "Peter Quince at the Clavier": Immortality as Form, College English, 1962. 0.20 Rachel M. Hannon, Imagery and the Adding-Machine, College English, 1944. 0.20 Walter Gierasch, Reading Modern Poetry, College English, 1940. 0.20 Eugene Paul Nassar, "Peter Quince at the Clavier": A Protest: Reply, College English, 1966. 0.20 Herbert R. Coursen_ Jr., The Ghost of Christmas past: "Stopping by Woods on a Snowy Evening", College English, 1962. 0.19 Bernice Slote, Of Chapman's Homer and Other Books, College English, 1962. 0.19 Sam Hynes, Poetry Poetic Poem, College English, 1958. 0.19 Laurence Perrine, Dickinson Distorted, College English, 1974. 0.19 John Nist, Gerard Manley Hopkins and Textural Intensity: A Linguistic Analysis, College English, 1961. 0.19 George Brandon Saul, Affirmation, College English, 1965. 0.19 John M. Aden, Texture and Structure in Pope: A Dissent, College English, 1958. 0.19 Mark L. Reed, More on the Wordsworth Poem, College English, 1966. 0.19 Victor P. Staudt, "Ars Poetica" and the Teacher, College English, 1957. 0.18 Linda Welshimer Wagner, William Carlos Williams: Giant, College English, 1964. 0.18 Charles A. Shaw Dougald M. Mac Eachen, Letters to the Editor, College English, 1956. 0.18 Bonniejean Christensen, Against the Grain, College English, 1972. 0.18 Cleanth Brooks, Irony and "Ironic" Poetry, College English, 1948. 0.18 Franklin Hamilton, The Flowering Tree, College English, 1961. 0.18 Monroe C. Beardsley Sam Hynes, Misunderstanding Poetry: Notes on Some Readings of Dylan Thomas, College English, 1960. 0.18 Harry M. Campbell, Donne's "Hymn to God My God in My Sickness", College English, 1944. 0.18 James Hazen, Tenure, College English, 1975. 0.18 Jack E. Reese, Sound and Sense: The Teaching of Prosody, College English, 1966. 0.18 Allen Tate, Understanding Modern Poetry, College English, 1940. 0.18 Jay L. Halio, "Prothalamion" "Ulysses" and Intention in Poetry, College English, 1961. 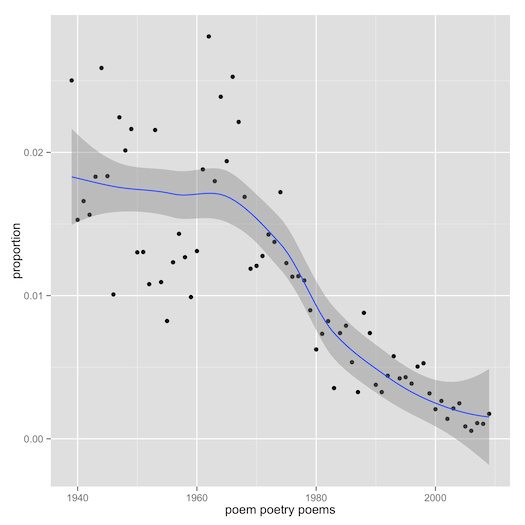 0.18 D. Thomas Ordeman, How Many Rhyme Schemes Has the Sonnet?, College English, 1939. 0.18 Willis D. Jacobs, The Moderate Poetical Success of Stephen Spender, College English, 1956. 0.18 Walter Darring, The Rose by Another Name, College English, 1967. 0.18 Ira Grushow, The "Experience" of Poetry, College English, 1969. 0.18 Patrick D. Murphy, The Verse Novel: A Modern American Poetic Genre, College English, 1989. 0.18 Boyd Litzinger, Incident as Microcosm: The Prior's Niece in "Fra Lippo Lippi", College English, 1961. 0.18 David Daiches, The Poetry of Dylan Thomas, College English, 1954. 0.18 Roger Penn Cuff, Neihardt's Epic of the West, College English, 1947. 0.18 Gary G. Sloan, The Perils of Poetry Evaluation, College English, 1975. 0.18 Carl Niemeyer, Recent Poetry in Terminal Courses, College English, 1942. 0.18 Gordon K. Grigsby, The Genesis of Paterson, College English, 1962. 0.18 M. Norma Hahn, Yeats's "The Wild Swans at Coole": Meaning and Structure, College English, 1961. 0.18 Richard Levin, Shelley's "Indian Serenade": A Re-Revaluation, College English, 1963. 0.18 Louise Bogan, Reading Contemporary Poetry, College English, 1953. 0.17 James Schroeter, Shakespeare's Not "To - Be - Pitied Lover", College English, 1962. 0.17 Joseph Leonard Grucci, I too Dislike Half-Poetry, College English, 1953. 0.17 Paul Engle, Why Modern Poetry, College English, 1953. 0.17 Mason Long, The Tennysons and the Brownings, College English, 1947. 0.17 Lewis Turco, The Matriarchy of American Poetry, College English, 1973. 0.17 Kenneth C. Bennett, Practical Criticism Revisited, College English, 1977. 0.17 James G. Southworth, The Poetry of Richard Wilbur, College English, 1960. 0.17 J. S., Sonnet 73 Again: Reply, College English, 1962. 0.17 David Swanger, Teaching Poetry: Notes toward an Integrative Rationale, College English, 1974. 0.17 Ralph Robin, Observations, College English, 1963. 0.17 Patricia Merivale, Wallace Stevens' "Jar": The Absurd Detritus of Romantic Myth, College English, 1965. 0.17 Bernard Knieger, Poetry Imitation, College English, 1960. 0.17 John Cooke Jeanie Thompson, Three Poets on the Teaching of Poetry, College English, 1980. 0.17 Richard R. Werry, The Poetry of Dylan Thomas, College English, 1950. 0.17 Edward W. Rosenheim_ Jr., The Elegiac Act: Auden's "In Memory of W B Yeats", College English, 1966. 0.17 Charles O. Hartman, Condensation: The Critical Vocabulary of Pound and Eliot, College English, 1977. 0.17 Selden Rodman, Poetry Between the Wars, College English, 1943. 0.17 Samuel Jay Keyser, Reply to Robert M Browne (1977), College English, 1977. 0.17 James Hoetker, Frost's "The Draft Horse", College English, 1965. 0.17 William J. Grace, Teaching Poetic Appreciation through Quantitative Analysis, College English, 1939. 0.17 Eugene Benson, A Poetry Textbook in the Classroom: Blowing the Whistle Again, College English, 1972. 0.17 L. R. N. Ashley, A E Housman Writes Shakespeare's Sonnet XXIX, College English, 1962. 0.17 George Ella Lyon, Rings, College English, 1981. 0.16 John Stedmond, Scholars, College English, 1962. 0.16 Glauco Cambon, William Carlos Williams and Ezra Pound: Two Examples of Open Poetry, College English, 1961. 0.16 Sculley Bradley, The Teaching of Whitman, College English, 1962. 0.16 Gilbert Allen, Gilbert Allen Responds, College English, 1982. 0.16 M. Joselyn, Creative Work in the Sophomore Literature Course, College English, 1958. 0.16 Philip Appleman, 200 Million Poets, College English, 1984. 0.16 Ray Mizer, Pedagogy, College English, 1961. 0.16 Edmund Reiss, A Critical Approach to the Middle English Lyric, College English, 1966. 0.16 Huston Diehl, Teaching Milton's Early Poetry, College English, 1978. 0.16 Carl J. Weber, The Original Captain Craig, College English, 1943. 0.16 W. L. Werner, Housman's "1887"-No Satire, College English, 1944. 0.16 James S. Baumlin, Donne's "The Token": A Lesson in the Fashion(ing) of Canon, College English, 1997. 0.16 Esta Seaton, To My Husband, College English, 1965. 0.16 Louise Pound, The Future of Poetry, College English, 1944. 0.16 Richard Gustafson, William Carlos Williams' Paterson: A Map and Opinion, College English, 1965. 0.16 Charles Allen, Glebe and Others, College English, 1944. 0.16 Dolores Barracano Schmidt, Cummings in the Classroom, College Composition and Communication, 1964. 0.16 Paula Johnson, Getting Acquainted with a Poem, College English, 1975. 0.16 Reuben A. Brower, Form and Defect of Form in Eighteenth-Century Poetry: A Memorandum, College English, 1968. 0.16 Robert E. Reiter, George Herbert's "Anagram": A Reply to Professor Leiter, College English, 1966. 0.16 Robert L. Morris, Students' Choice in Poetry, College English, 1942. 0.16 George Arms, Emerson's "Ode Inscribed to W H Channing", College English, 1961. 0.16 Tom Hansen, On Writing Poetry: Four Contemporary Poets, College English, 1982. 0.16 Jeffrey Walker, Aristotle's Lyric: Re-Imagining the Rhetoric of Epideictic Song, College English, 1989. 0.16 Bernard Knieger, Dylan Thomas: The Christianity of the "Altarwise by Owl-Light" Sequence, College English, 1962. 0.16 James W. Byrd, Gibson on Perrine, College English, 1959. 0.16 Louis Hasley, Could Be Verse, College English, 1977. 0.16 George Bellis, A Comment on "Donne's 'The Token' ", College English, 1998. 0.16 Rebecca Price Parkin, Alexander Pope's Use of the Implied Dramatic Speaker, College English, 1949. 0.16 M. Maura, After a Class in Poetry, College English, 1960. 0.16 Marion Montgomery, Poem for Green Ink, College English, 1962. 0.16 Ray Mizer, Cognate Object, College English, 1961. 0.16 David Goldknopf, The Disintegration of Symbol in a Meditative Poet, College English, 1968. 0.15 James L. Potter, The "Destined Pattern" of Spender's "Express", College English, 1966. 0.15 Roger Mergendahl, A Short Nightmare after Racing through an Anthology of Modern Poetry, College English, 1961. 0.15 Henry W. Wells, Voice and Verse in Dylan Thomas' Play, College English, 1954. 0.15 Elizabeth Hampsten, A Woman's Map of Lyric Poetry, College English, 1973. 0.15 Elisabeth Tomlinson, The Metaphysical Tradition in Three Modern Poets, College English, 1939. 0.15 Thom Swiss, Approaches to Teaching Concrete Poetry: An Annotated Bibliography, College English, 1976. 0.15 Richard B. Hovey, Sonnet 73, College English, 1962. 0.15 Jonathan Wordsworth, The New Wordsworth Poem, College English, 1966. 0.15 Charles V. Hartung, Wordsworth on Westminster Bridge: Paradox or Harmony?, College English, 1952. 0.15 James G. Southworth, The Poetry of Theodore Roethke, College English, 1960. 0.15 Thomas H. Jackson, Wordsworth's "Thought" and His Verse, College English, 1963. 0.15 William J. Lowe, The Feeling of Rejection, College English, 1957. 0.15 Duncan Robertson, The Dichotomy of Form and Content, College English, 1967. 0.15 John Tagliabue, Two Poems, College English, 1962. 0.15 William Sylvester, The Existence of a Disjunctive Principle in Poetry: A Preliminary Essay, College English, 1967. 0.15 Jim Sutton, This is Your Life Jim Sutton, College English, 1970. 0.15 Reginald L. Cook, Frost on Analytical Criticism, College English, 1956. 0.15 L. M. Myers Selden Smyser Nicholas Vachel Lindsay H. O. Lokensgard, Letters to the Editor, College English, 1954.